Union Minister of State for Minority Affairs Mukhtar Abbas Naqvi on Saturday said the Centre will give Rs 100 crore to the Maulana Azad Minorities Financial Development Corporation for providing financial assistance and subsidised loans to members of minority communities. 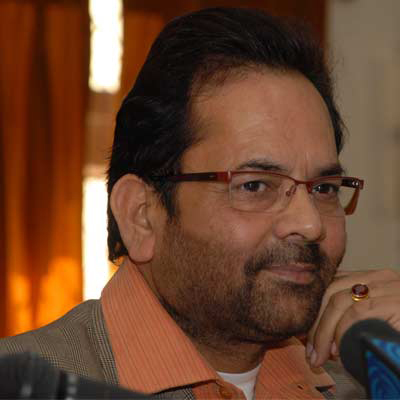 Union Minister of State for Minority Affairs Mukhtar Abbas Naqvi on Saturday said the Centre will give Rs 100 crore to the Maulana Azad Minorities Financial Development Corporation for providing financial assistance and subsidized loans to members of minority communities. "Naqvi told me that the Centre has decided to give the Rs 100 cr grant to the Corporation (of Maharashtra government), after the state government submits a guarantee," state Minister for Minority Affairs Eknath Khadse told reporters after a meeting with Naqvi during which the Union minister reviewed implementation of minorities-related development schemes.